Depending on the light source, there will be different effects on your painted walls. Nearly everyone has checked out some paint swatches in the store, chosen one that they loved, and got home only to hate the color after applying it. This isn’t some form of punishment from the paint gods – it all has to do with the light in the room and the way color reacts to it. Light Absorption – Colors react to light differently. For example, white doesn’t absorb any colors from the spectrum, while black absorbs all of them. Available Light Sources – The color of an object depends on the type of light illuminating it. 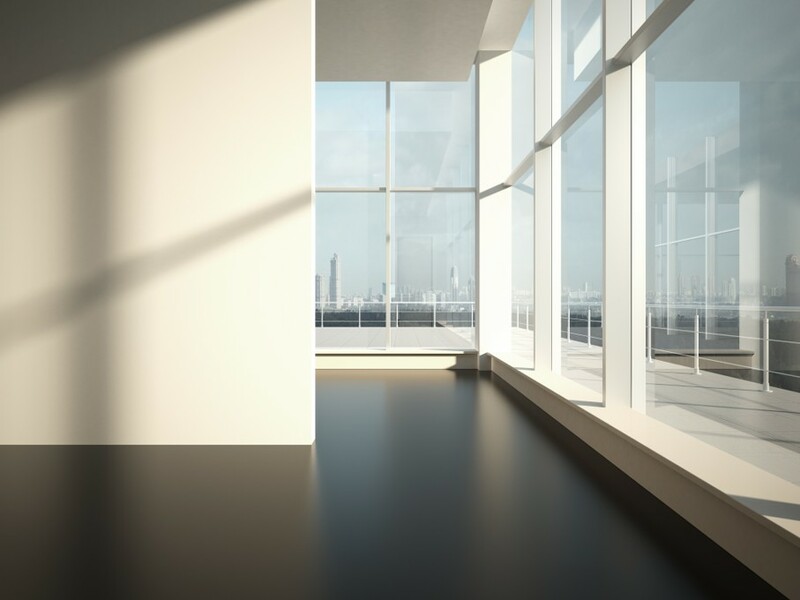 Sunlight provides natural light, yet also changes during the day. 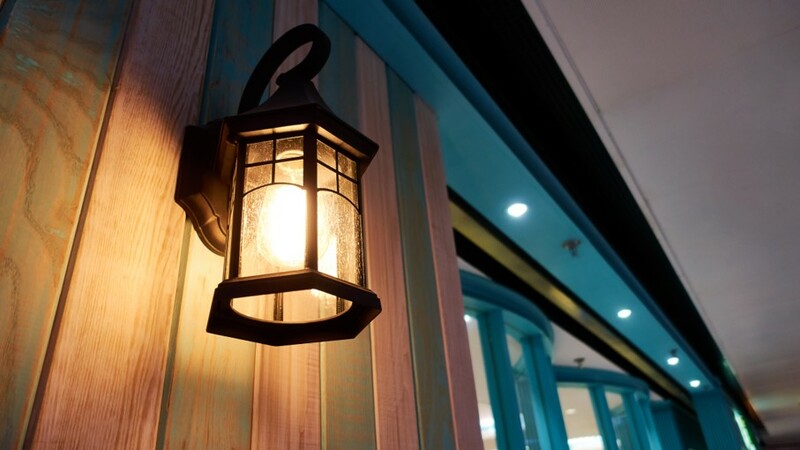 The way artificial light works to change a particular color depends on the bulb type. It is also important to understand that all color is an interaction between an object’s atoms and the frequencies of light that they reflect and absorb. Any colors absorbed by the object will not transmit to our eyes, but the light that it reflects causes us to see a specific color. Now that you understand how we perceive light, it will make it easier for you to understand how the lighting in your home will change the colors you choose. Both natural and artificial light play different roles in how the colors look, and keeping these in mind will play a key role in how much you love the color you choose. Sunlight, which is considered the purest form of light, affects color in different ways depending on the direction from which it comes. This is why the colors in your home appear differently throughout the day. 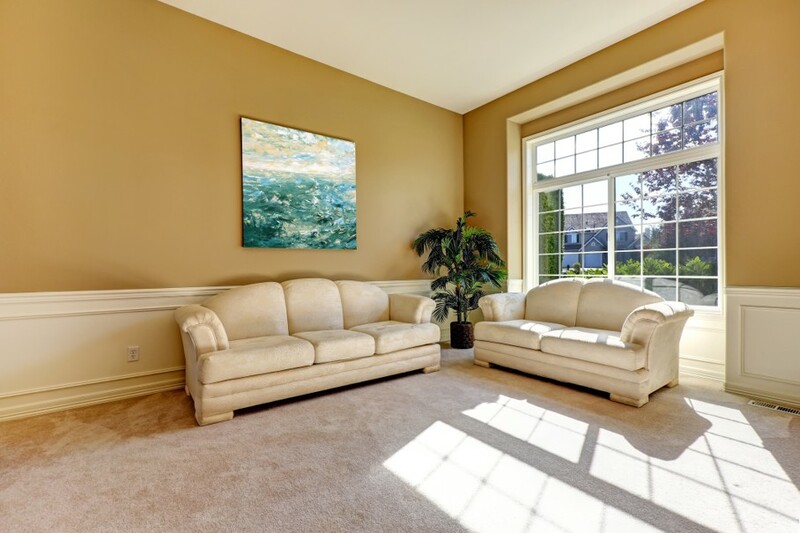 The light sources throughout your home will also change how the color appears. Fluorescent – The color generated by these bulbs is blue, which will make green and blue pop while giving warmer colors a muted appearance. Keep in mind that soft white fluorescents cause colors to take on a faded appearance. LED – LEDs are available in both cooler and warmer options, which are designated by the Kelvin scale. Bulbs ranging from 2,700K up to 3,000K are considered warm; 3,500K provides neutral; 4,100K is cool; and 5,500K up to 6,500K have the appearance of daylight. Halogens – These bulbs are very close to natural light, which makes all colors have a more vivid appearance. Once you know the type of lighting that will be used in a particular room, you are better prepared for choosing your paint colors. 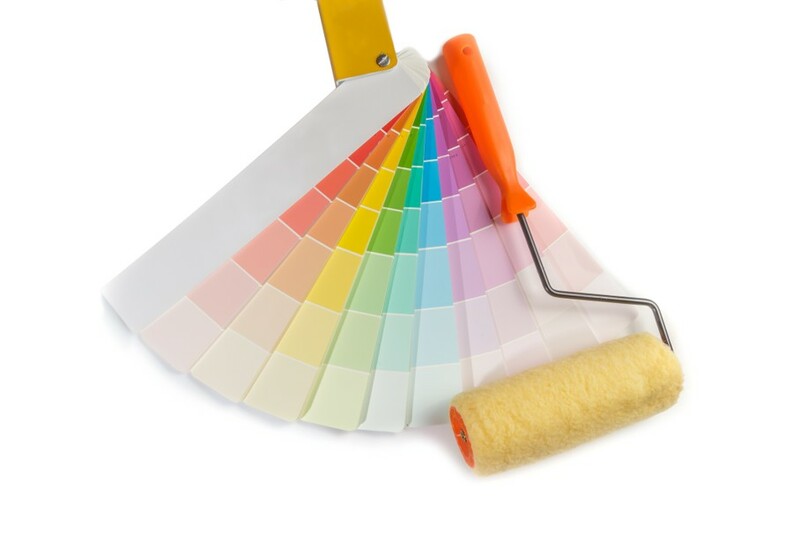 The next time you’re at the paint store, you will want to grab a sample or touch-up size can of the colors you love. Use each one to apply two coats of the color to drywall squares. This will allow you to move them around the space, and expose them to the different types of light in your home. 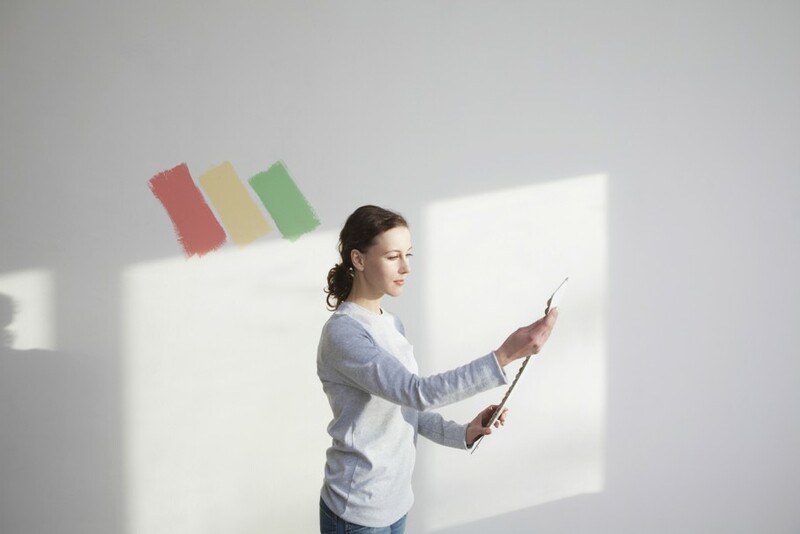 While this may seem like an added step that slows down the process, it will also allow you to see exactly what the color will look like when the sun hits it throughout the day, and when you flip the light switch. This added step will make sure you love the color you choose for every room, before you ever touch your walls with a paintbrush.